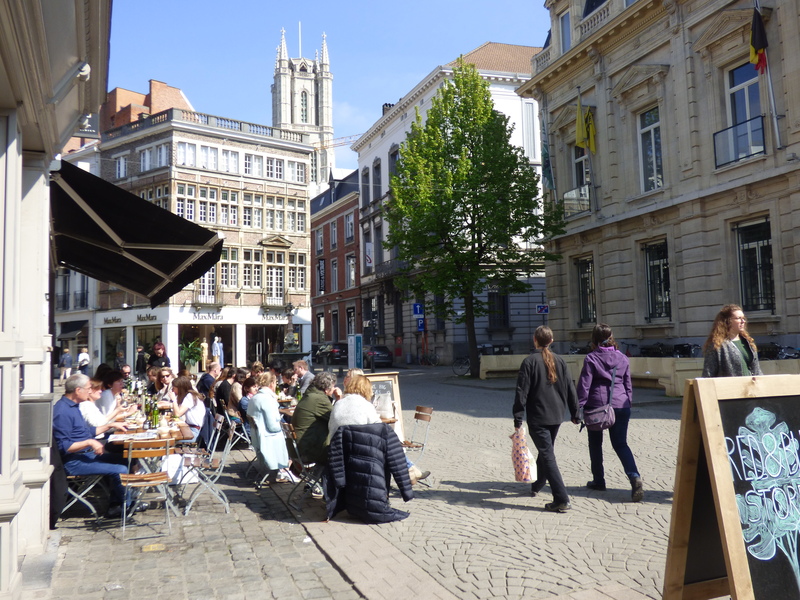 On Monday 3rd April 2017 Ghent’s new circulation plan (circulatieplan or mobiliteitsplan in Dutch) came into effect. With the official website only available in Dutch, it’s difficult for expats to know what this all means for them, and – probably most importantly – how to avoid a fine. Here’s our guide to what’s changed, why and some useful things to know. What is a circulation plan? A more efficient city centre with fewer traffic jams, or files as they’re known here. Business and emergency services etc can get where they need to more quickly. The city centre was divided into 6 zones, which you can see on the circulation plan map here. 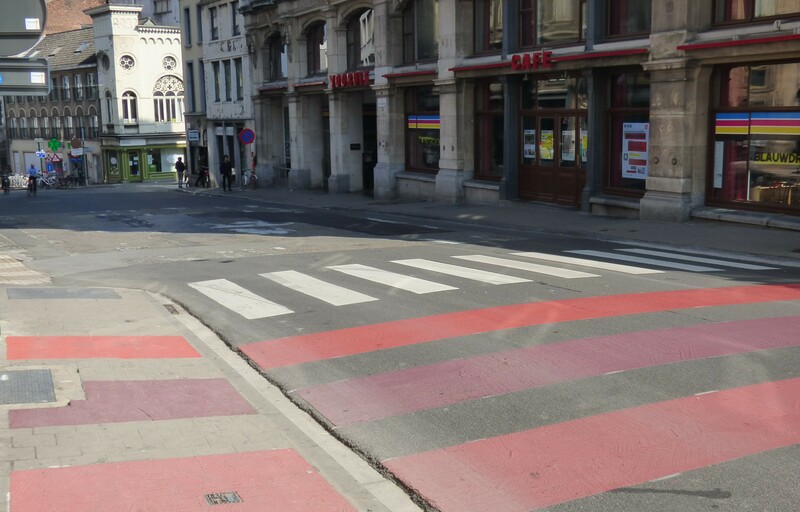 You’ll see red and purple stripes (see image) on the roads – and pavements – in certain locations. These mark new public spaces (knips and car-free zones, or a low-traffic area in Sint-Pieters-Nieuwstraat). You can’t drive down here. Instead you need to go back up to the ring and around. If you have friends or family staying over in a city-centre hotel – and they’re coming either in their own car or a hire car – they will need to get a circulation plan permit from the hotel when booking. They should let the hotel know their license plate (or that it’s a hire car so the license plate is unknown). The following are allowed to enter the car-free zones: emergency services, buses, trams, waste and recycling collection vehicles, taxis and doctors on home visits etc with permits, electric bikes, cargo bikes and class A mopeds. The same (plus class B mopeds) are also allowed to go across the knips (Ottogracht, Bargiebrug & Lippensplein). If you break the rules then you risk a 55 euro fine. Cameras have been set up at the knips to capture license plates so you’ll then be sent the fine through the post in the same way you do for a speeding ticket. If you’re a cyclist, you’ll be stopped by police if they happen to catch you in the act. This can also result in a 55 euro fine. There are Park & Rides outside the centre (indicated on the Circulation Plan map) – the general idea being that if you live outside the centre and just want to visit Ghent for the day to have a look around or do some shopping, you’re better off leaving your car at a Park & Ride. 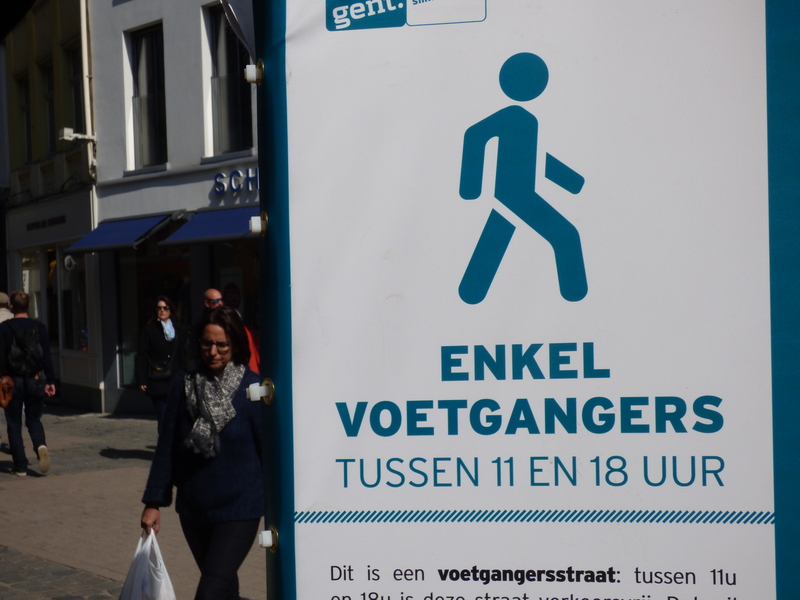 If you want to apply for a permit, you can read the (Dutch only) instructions and apply online via this link or call into the Mobiliteitsbedrijf at Sint-Michielsplein 9. Most GPS and smartphone maps have now been updated. If in doubt, this handy online route planner allows you to enter your start and finish point, choose whether you’re a motorist, cyclist or pedestrian, and it’ll plot the quickest route you’re allowed to take. 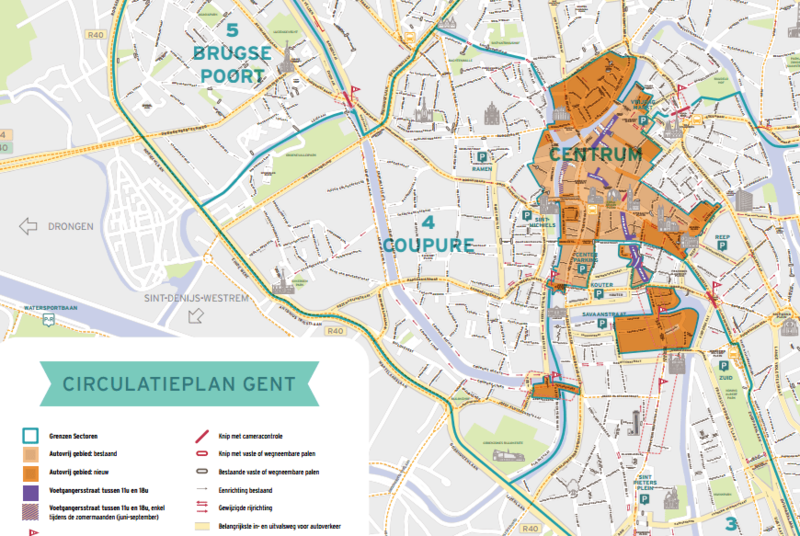 This section of the Stad Gent website provides more English information about the circulation plan. You can read more about public transport in Ghent here.